Huggies Snug & Dry ULTRA Economy Plus Pack Diapers is our largest pack size and designed to be a one month supply of diapers. Snug & Dry ULTRA diapers offer offer a unique quilted liner to lock away wetness better (vs. Regular HUGGIES Snug & Dry* Diapers sizes 3-6), and are available only at Walmart for an better value. Our long-lasting leakage protection provides up to 12 hours of protection, keeping your baby dry so you can focus on all of your baby's adventures. You'll know your baby's ready for a change when our exclusive wettness indicator turns blue (wetness indicator available only on Sizes 1 and 2). Huggies Snug & Dry ULTRA Economy Plus Pack diapers are available in Size 1 (258 diapers), Size 2 (246 diapers), Size 3 (222 diapers), Size 4 (192 diapers), Size 5 (172 diapers), and Size 6 (140 diapers), for newborn babies to toddlers over 35 lbs. My husband and I are first time grandparents. He never was involved with the kids when they were little because of his work but now that he's retired he is fully involved when needed! I love the Huggies diapers because it has the Grove at the top which doesn't interfere with the belly button, the line on the diapers change to a blue color so he can tell right away if she needs to be changed. Congratulations on being a first time grandparent, what an exciting time for ou and your family! Were so happy you've chosen Huggies! Love the color changing stripe with wetness, nothing like it 25 years ago when my children were in diapers. Keeps my granddaughter protected and dry. We appreciate your loyalty to Huggies all these years and we're so glad that we could be there for your children then and your granddaughter now! Sending love and hugs! Huggies New Snug & Dry Diapies! We love hearing you enjoyed our Huggies Snug & Dry diapers and hope you'll try them again in the future! These diapers are a great fit and can last without sagging. I like that they are the cheaper option but still up to par with the Huggies standard. My son likes to point at the Mickey faces on them. They aren't quite as soft as others though. Thanks for your review - Hugs! Since my LO was born been using huggies even returned baby shower pampers and luvs I received but I recently opened a box and have been using it for a couple of days and it has a hard chemical smell as soon as my baby wets it. Very disappointed never have had a problem with huggies until now even switched to pampers just cause I was worried. Thank you for being a loyal Huggies mom! The “chemical smell” you’re describing is certainly very unexpected and we would like to have a conversation with you to learn more about your experience. Please hold on to the product and packaging and connect with us at http://bit.ly/8ZuAUH or by phone at 1-877-648-2484 (weekdays, 7:30 a.m. to 7 p.m. CST). We hope to hear from you soon. Thank you. I was using Huggies little snugglers for my son in newborn and size 1. I switched to huggies snug & dry and immediately he would leak through every single diaper. I never had a problem with little snugglers or generic brand from target. Now I have a pack that I can't even use. Oh no! We know leaks can happen as every baby's shape and size is unique, however, that's the last thing we want for you or your little one. If you're looking for a new style, you may be interested in trying our Huggies OverNites diapers as they are our most absorbent diaper. With that said, we'd like to learn more as what you've described isn't up to our quality standards. Please hang onto the packaging and reach out to us online at https://www.huggies.com/en-us/contact-us or call 1-877-648-2484 (available weekdays, 7:30 a.m. to 7 p.m. CST). We hope to hear from you soon, thank you. I have used Huggies with all my children. We have our last child in diapers and I bought the snug and dry instead of the usual little movers because my son wakes up very wet in the morning. I figured with the 12 hour protection they would be better for him as they are supposed to be so absorbent. Boy was I wrong. Instead of having a soaked crib we have soaked diaper foam all over the place. These diapers fall apart when they get wet. It is terrible. I now have a box of 200 of these diapers and don't know what to do with them. I will never buy them again. We're sad to hear about your experience, Stacey, and want to provide your family with a quality diaper that you can depend on to keep your baby protected. Please know that the ��diaper foam” you’re seeing is our super-absorbent material that can sometimes break out of the diaper when the absorbency capacity has been reached. Other parents have found it helpful to size up when this happens. Regardless, we’d like to learn more about what happened and help, so please contact us online at http://bit.ly/8ZuAUH or call 1-877-648-2484 (available weekdays, 7:30 a.m. to 7 p.m. CST) when you have a moment. We look forward to hearing from you - Thanks. My 3 month old has been in Huggies since he could fit into size 1 diapers as Pampers didn't fit him well. We used both the Little Snugglers and Snug and Dry diapers. Until recently there has never been an issue, however he started having multiple blow outs straight up his back day and night (even though his stool is scant and the diaper is never fully soiled as he hates to be wet) in the Snug and Dry diapers. He's started fussing more after a new diaper is put on him, and it wasn't until several days of using a new box that we realized around the band there are VERY rough patches that have been scratching his poor skin. We've always loved Huggies but we're new parents who don't have money to waste and it's very disappointing that most of the diapers in the box we purchased will be unusable. We're sad to hear you're experiencing blowouts while using our Huggies Snug & Dry diapers recently! As caregivers ourselves, we know this isn't ideal, but can happen from time to time when the absorbency capacity of the diaper has been reached. In order to reduce and hopefully eliminate the number of blowouts you're seeing, we recommend trying the next size up or down in diapers (depending on if they're looser or tighter in the leg area), or continuing to use our Huggies Little Snugglers diapers since they have a higher absorbency capacity for those babies that need a little more fluff! Every baby's size, shape and diapering needs are different and can change pretty quickly, so we design our various styles with this idea in mind. No matter what though, we wouldn't expect you to be seeing hardened spots like you have with this pack. And as your baby's comfort is a top concern of ours, we'd like to learn more about your experience and see how we can help. When you have a moment, please reach out to us online at http://bit.ly/2IumGnR or by phone at 1-877-648-2484 (weekdays, 7:30AM-7PM CT). Hope to hear back soon! Hello, I have a 8 month old daughter and we use the Huggies brand! We started with Little Snugglers we used Newborns and Size 1 had trouble finding Size 2 in bulk so we switched to Snug and dry everything has been fine until now we are now in a size 3 and they are alot thinner than the size 2, I absolutely HATE them she is having leaks.. they dont last thru the night and the little gel is being exposed on her skin when the wetness indicator is still yellow. Im not sure what went wrong we bought a box of 100 and Im going to have to purchase different diapers these are useless and a waist of money. Thanks for your review! Our goal is to help you keep your little one cozy and dry between regular changing times, so we're sad to hear about this! Since every baby's shape, size and diapering needs are unique, we know that leaks can happen, but we wouldn't expect them to be thinner than what you've seen in the past. Additionally, while it's rare to see the diapers fill to the point of exposing the gel (our superabsorbent material), this can happen once the absorbency capacity of the diaper has been exceeded. Since our Huggies Little Snugglers diapers have a little extra absorbency capacity for the babies out there that need a bit more fluff, we'd recommend giving them a try again to see if this eliminates this issue for you! Regardless, we'd like to speak with you directly and learn more about what occurred so we can help. 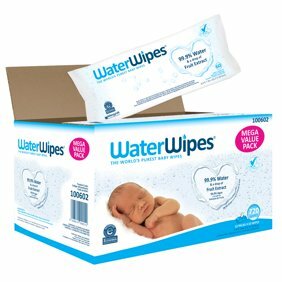 Please hold onto the product and packaging and reach out to us online at https://www.huggies.com/en-us/contact-us or call 1-877-648-2484 (available weekdays, 7:30AM-7PM CT).